The Art of Making a Home: Quick Takes - Have I really done this 4 times already?? Quick Takes - Have I really done this 4 times already?? 1. First take dedicated to Jen - we all know the story, but if you're reading my blog you clearly are extremely bored and definitely have at least 15 seconds to offer up another quick prayer for her and her family. 1-2-3-Go! I'll wait. 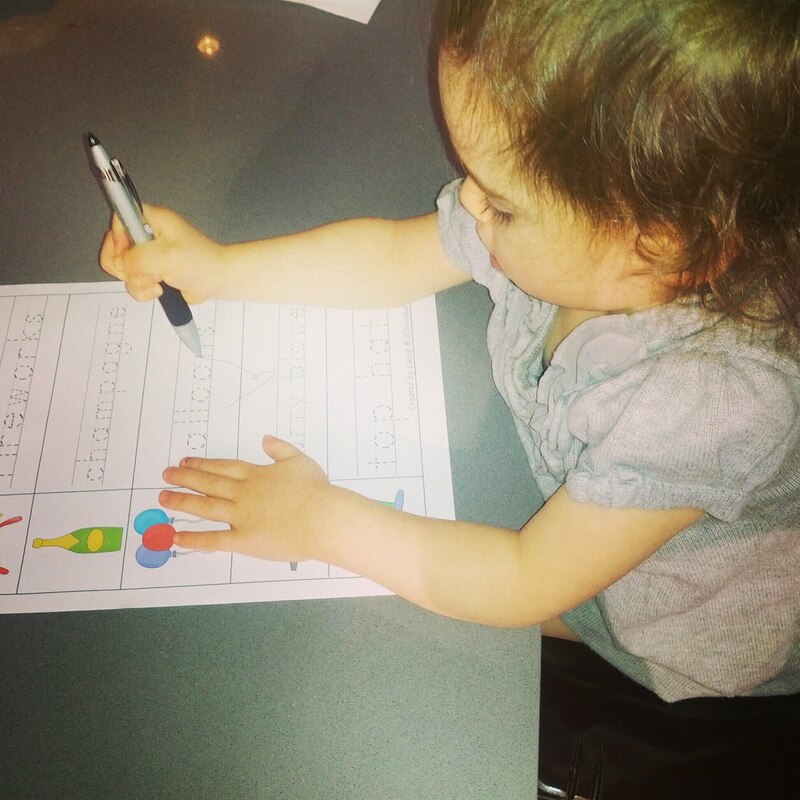 She may not be potty trained, but she can write the word "champagne"...that's my girl. 6. I'm still pretty blog illiterate here, but now that I've dived into the blogging world I'm starting to understand that my sister Emily is KIND OF A BIG DEAL. I mean I always knew she was awesome and everything, but now I am paying attention to things like the fact that she has 83 Google Friend Member Follower People Things on her blog (not kidding, blog illiterate.) EIGHTY THREE!! I have 9. That makes her at least 9 times more awesome than me. Ok she's not a mom blogger (she's 17) but she is amazing and takes amazing pictures (especially of MY children :) so if you've got some teenagers who like to read blogs you should definitely send them there. Go see Hallie this week for more Quick Takes!! I feel oddly sad that I didn't invent the BATTERY POWERED NASAL ASPIRATOR. Not in the same way that I'm sad I didn't invent Google, but still...it seems like low-hanging fruit in the inventors' world, and I missed out. Also, you have a problem with the clean nose thing. Expect an intervention...when you least expect it. Nosefrida puts the graco battery-powered snotsucker to shame. Yes, I own a battery-powered nasal aspirator (not capitalized because I'm nursing and never use caps lock, even though this parenthetical remark is taking longer to type than a caps lock...). It plays songs. I may or may not have tried it on my own nose... Anyway, nosefrida is a trillion times better! Also, 11 lbs 14 oz seems huge to me, considering one of my 7-weekers is still only 6.5 lbs! Way to chunk that baby up! hahahaha the parenthetical remark was hilarious!!! Yeah after I started reading the reviews on Amazon I saw a lot of people saying that...but it's such a good idea!! Somebody really needs to figure out how to do it right!!! Love that your little sister has a blog, it's fab! And I am glad you liked the minivan idea, I feel like it has revolutionized our life-- also it's made me a bit terrified of having a fourth because we will have to put the seat back!! No!!! Isn't she the coolest? She's an amazing writer and Irish Dancer too - the girl does it all.